Last night I was able to do something I've been waiting all summer to do: grill. It was a bittersweet moment since it was the first and last chance I would get to grill this summer. The grill was running a little hot which made it a hair-singeing challenge to operate. 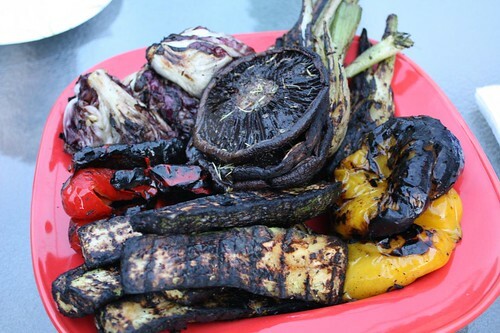 We grilled fennel, radicchio, zucchini, portobello, and peppers. 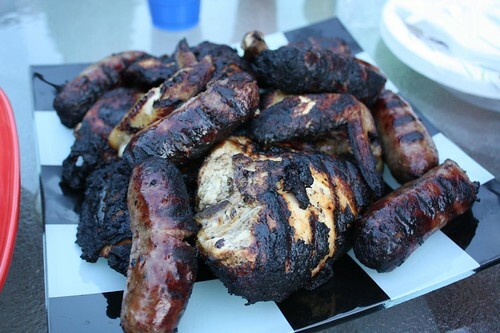 I also grilled up a whole chicken and some sweet Italian sausages. It's so rare to have grilled food that it tasted like some strange extravagance to taste anything that has come in contact with a grill. I imagine this must be what it was like the first time a caveman grilled a piece of grilled wooly mammoth. What a wonder it must have been. One of the many reasons for our trip to Rhode Island was to drop off our car at my parents' house. After a year of duty we would no longer be requiring its services. 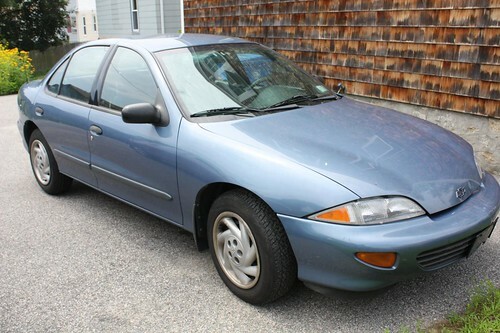 While it has been a very reliable ride I will not miss the unenviable task of having to park it in our neighborhood. I won't miss the tickets either. Maybe every so often I'll write a check for $115 and mail it to the New York City Department of Finance just for old times' sake. 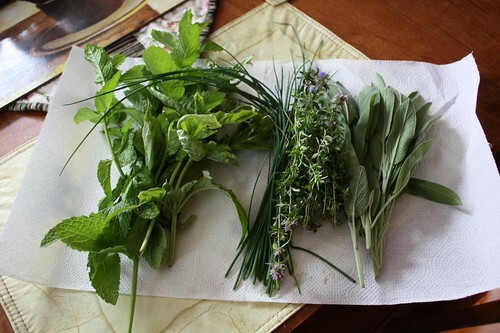 My mother was kind enough to send us home with plenty of freshly snipped herbs from her garden. While I was eager to get home and use them we were treated to another hellish drive through Connecticut. I spent most of the drive either swearing, talking about how much I wish we had a hover-converted car like in Back to the Future II, or both simultaneously. 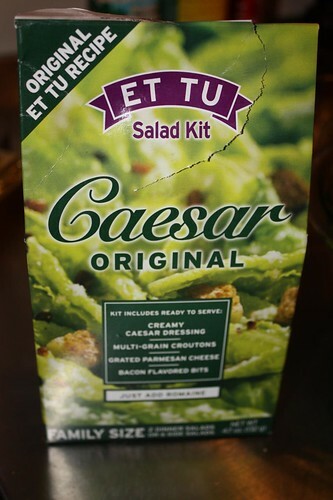 While in Rhode Island, Jen found this Caesar salad kit that apparently she had enjoyed many times as a child. We used the salad kit with beet greens, arugula, and red leaf lettuce from the farm to make the salad for tonight's dinner. 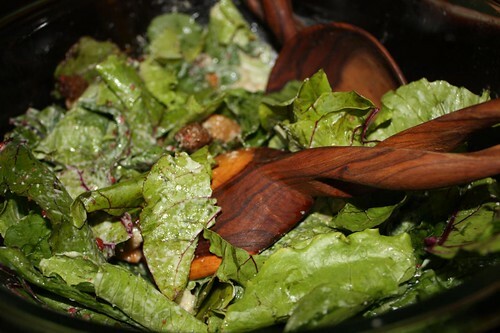 Not your standard greens for a Caesar salad but they worked surprisingly well. 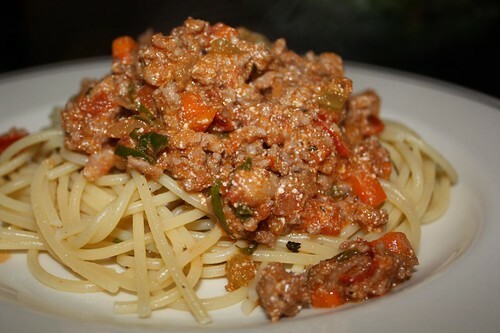 For the main course I made a very quick and non traditional turkey bolognese. I used onion from the farm, bacon, ground turkey, carrot, celery, tomato, and some of my mother's fresh basil. I finished it off with just a touch of ricotta. And so a wonderful weekend in Rhode Island came to a close. Tomorrow we return to work. Unfortunately I think we will be working in dirty clothes as we have not gotten a chance to do any laundry in the past week or so. We were so sorry to see you go. Wish we were grillin' again tonight! I wish I was grillin' again tonight too!